October First is the kickoff for my virtual tour! For the site of the day - all October long. Free book giveaway - see site for details! A special friend and fan came out to see me in Charlotte yesterday. I met Becky two years ago at another Charlotte signing and she's the one who led me to the wonderful art community at D.A. Thanks, Becky! Virtual tour starts Monday, October 1st! Stops will be listed daily at www.virtualbooktours.authorsabode.com Free book giveaway, too! Things are falling in place for the Book 'Em event. I'm hoping to have a middle school and a high school to visit on Friday in addition to a panel discussion during the main event. Book 'Em is such a terrific program! Hopefully p.m.terrell (author and co-founder of Book 'Em) can get one going here in NC, too. Have five seminars set for next year already. I am really enjoying those! My Fall Southern Tour is coming up soon. 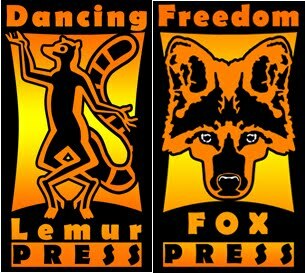 Four signings and sixteen stops at other stores are planned. I have my time scheduled down to the minute! Trying to fit in two more interviews among the chaos as well. No, I don't get much time to sleep. I'll sleep when I'm dead!! Tamera Alexander is a bestselling novelist whose deeply drawn characters, thought provoking plots, and poignant prose resonate with readers. Alexander’s books have won multiple awards, including Romance Writers of America’s 2007 RITA® for Best Inspirational Romance, the 2007 Gayle Wilson Award of Excellence, 2007 Bookseller’s Best, and Library Journal’s Top Christian Fiction of 2006. Her books have received acclaim from Library Journal, True West Magazine and Historical Novels Review, and Rekindled debuted on the CBA fiction bestseller list. She has a professional background in business management and conference coordination. A leader of women's ministries for over twelve years, she is currently active in music ministry, facilitating small groups, and mentoring other women. A graduate of Harding University, Tamera lives with her husband and their two teenagers in Greeley, Colorado. Her other two books in the Fountain Creek Chronicles are Rekindled (Book 1) and Revealed (Book 2)To celebrate the release of Remembered, as well as the 3-volume boxed set of Fountain Creek Chronicles (Rekindled, Revealed, and Remembered), Tamera is currently giving away boxed sets in a contest on her website. Check out the contest at http://www.tameraalexander.com/ .From a Distance, the first book in Tamera’s next historical series (Timber Ridge Reflections) releases in spring 2008. Though loss is often markedin a single moment,letting go of someone you love can take a lifetime...The threat of war--and a final request--send Véronique Girard from France to a distant and uninviting country. In the Colorado Territory, she searches for the man who has held her heart since childhood--her father. Pierre Girard left Paris for the Americas to seek his fortune in fur trading, vowing to send for his wife and daughter. But twenty-five years have passed and his vow remains unfulfilled. Sifting through shards of broken promises, Véronique embarks on a dangerous search for a man she scarcely remembers.His grief finally healed, Jack Brennan is moving on with life. After years of guiding families west, he is now working as a freighter to the mining towns surrounding Willow Springs. What he doesn't count on is an unexpected traveling companion on his trips up into the mountains, and how one woman's search will cause havoc with his plans... and his life. "Alexander again delivers a most amazing story. The characters are more than words on the page; they become real people. Though there are French words sprinkled throughout the story, they enhance the emotions rather than distract the reader." --Romantic Times"...a rich historical romance by possibly the best new writer in this subgenre." --Library Journal"
Alexander has done it again with Remembered, third in the FOUNTAIN CREEK CHRONICLES. She's fashioned characters that are as rich and deep as the mountains and valleys they explore throughout the pages, coloring the story as adeptly as the heroine does her canvas. I was drawn immediately into the ages-old heartaches of both of the main characters, understanding at once Veronique's reticence to make a place for herself in the unknown wilds of America and Jack's uncompromising love for this land that he’s cut a swath through time and again. They both have a series of mountains to overcome in the search for Veronique’s father, but I enjoyed watching their faith and appreciation grow with each turn of the page. And woven adeptly through it all is the encompassing truth of the Lord's sovereignty—that sometimes He takes away, and sometimes He gives us what we need, not what we're looking for. One of my "How To Promote Your Book Now!" seminars took place last night and I have come to a strange conclusion - I actually enjoy promoting! Yes, it can be tiresome some days, but there's excitement as well. There's just so many available options for authors now, it's incredible. Not every day am I an author 24-7. 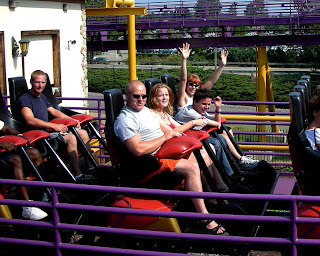 On Sunday my husband and I took our singles group from church up to Busch Gardens for a day of fun, relaxation and fellowship. "This woman just cannot keep herself out of the news! "Brittany is being charged with a hit & run in a parking lot. And the really dumb thing - cameramen caught the whole thing on tape and posted it on the Internet! She hit a car, checked hers for damage, and drove off, all the while she was being filmed! Now she faces fines and a jail sentence because she was also driving without a license. "Some days, I hate editing news like this." My virtual tour starts in October - watch for updates! Free book giveaway - for those who follow and comment on this tour. L. Diane Wolfe’s Virtual Tour! Galley corrections are one of the toughest things an author will face. Many start thinking, "What can I live with?". Truth is, you should've live with any mistake you find! Things such as mispellings and typos will LEAP off the page at your reader, just as much as a continuity error. So if YOU notice it, so will your fans. And if you see a mistake and do not fix it before the book is published, it will return to haunt you! That said, do not get upset if you later discover you've missed something! Even Harry Potter books have typos. You won't catch everything and neither will your editor. But correct what you can now, before the book hits the market. Because I promise, reviewers WILL find it! There are four ways a woman can handle heartbreak. She can fall apart, seek revenge, turn cold, or move on. 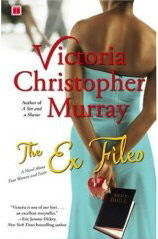 The Ex Files is the story of these four women:When Kendall Stewart finds her husband and her sister in bed together, she vows to never let anyone get that close again. But when she is faced with saving the life of the woman who destroyed hers, will she be able to forgive?When an NBA superstar tells his mistress, Asia Ingrum, that he's decided to honor his marriage vows, her shock quickly gives way to revenge...but her decision may come back to haunt their five-year-old daughter.Every night Vanessa Martin wonders why her husband committed suicide. Even worse, she contemplates joining him in eternity. Will Vanessa be able to gather the strength to live again?Sheridan Hart is finally finding her way after a lie destroyed her seventeen-year marriage. Her new love is ready to get married, but will she commit to this younger man or is her ex-husband taking up too much space in her heart?When their pastor asks Kendall, Asia, Vanessa, and Sheridan to meet weekly for prayer, they can't imagine they will have anything in common. But then a devastating tragedy strikes and these strangers are forced to reexamine their choices. Will they find true friendship, or will prayer -- and their union -- fail them? Looking to set up an author website? There are so many author websites out there, it's almost frightening! Of course, the best scenario is to have your own domain name. And if you're really serious, you will! But there's other options, most of which are free. And the more sites, the more exposure, the better! The Author's Den offers free and paid website services. Book Tour is a great site - lots of big name authors listed there as well. There's Book Marketing Network and Book Place. Also out there for authors & readers alike is Shelfari. And in this day and age, everyone should have a blog, too! So no excuses - get yourself out there on the web! Many Thanks Waldenbooks in Sumter, SC! Big thanks to the crew at Waldenbooks in Sumter, SC - you guys were so wonderful! 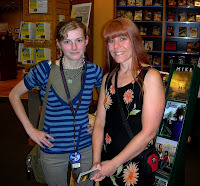 Friendly, helpful, and talking to people about my books - all I could ask for from a book store. They made my visit so enjoyable!!! And I appreciate it so very, very much. If you ever find yourself in Sumter, you have to stop at the Sumter Mall and visit the Waldenbooks. They will make your day! Last night was a publishing & promoting seminar at Wilson Tech. Tomorrow I head to Sumter, SC for a book signing. I'm also eagerly looking forward to some fun, including a trip to Busch Gardens in Williamsburg with our church's singles group and a chance to see the Carolina Hurricanes play. The interview covers hooks, books for boys, and intelligent writing, all from the viewpoint of a children’s editor. Some great suggestions for getting kids and young adults interested in reading. Hope Lyda has always wanted to write. Ever since she was a young tyke with a spiral notebook in hand, she had the urge to fill it. Sadly, Peggy Meets the Midgets did not cause Hope to be deemed a child prodigy, so she continued her path of education. She was grade-obsessed but also truly enjoyed sharing laughs with her circle of creative friends. Hope attended the University of Oregon and graduated with a double major in Journalism: Advertising and Telecommunications and Film. With aspirations to write screenplays or teleplays, she of course ended up doing public relations for non-profits until she entered the publishing field in which she has worked for 10 years. When not living in her head, she resides with her husband, Marc, in the Pacific Northwest. When a corporate merger leaves her demoted and disillusioned, Libby realizes she needs to start living authentically...and soon. But just as she tries to uncover her purposed life, her cruel and unusual boss, Cecilia, demands that Libby hide Seattle’s most famous homegrown rock star in order to keep her new, bad job. For the first time in years, Libby doesn’t have a step by step plan to guide her. She must trust her faith and her heart. But what is she supposed to do with her growing admiration for Blaine Slater, a new VP from Chicago, or the surprising kindness of the rock star living incognito in her Seattle apartment? 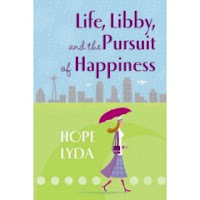 Through the humorous twist and turns, Libby uncovers a big life truth—the detours we are afraid of might just be the perfect path to happiness. Midwest Book Review of MIKE! Midwest Book Review is one of the top reviewers in the country and they just gave MIKE a great review!!! "Diane Wolfe is a gifted writer who leaves her appreciative readers looking eagerly toward her next novel. 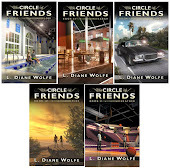 The fourth title in Diane's 'Circle of Friends' series, "Mike" is the story of a young man who is an academic and athletic achiever at Georgia tech. Facing the seductive temptations and peer pressure of college life, Mike is conflicted about maintaining his pretense of abiding by his family's high moral standards. Mike harbors feelings of guilt because of the intense affection he feels for his roommate's wife and the aftermath of a former girlfriend's abortion. But when Danielle enters his life, Mike feels he can no longer suppress his past. "Mike" is a superbly crafted story of young adult angst, as well as a thoroughly entertaining read. Also very highly recommended are the three early volumes in this outstanding series: "Lori"; "Sarah"; and "James"." She is part of the Deviant Art community and a buddy of mine. 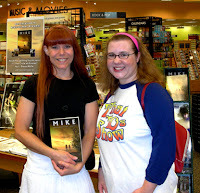 This weekend, she came down to meet me in person at Borders. She is just a sweetie, too!!! Such a genuine, wonderful spirit about her and nothing but smiles. I adored her positive outlook, too. She's pursuing photography in college and with such a teriffic attitude, she'll be able to do whatever she wants in life! Meeting people like her are why I love doing book appearances - I become blessed by another incredible human being. And I have been receiving suggestions for a new slogan. So far I really like "Are YOU in the circle?" Let The Fall Tour Begin! Tomorrow I kick off three months of appearances with signings at Borders in Cary and Apex, NC. Over 20 signings, 9 seminars, a 20-stop virtual tour, and a book festival are planned, and I am working on several more appearances. It will be crazy, but this is what I live for - getting out and meeting the people! Look for The Circle of Friends mobile on the road! Camy Tang is a member of CFBA and is a loud Asian chick who writes loud Asian chick-lit. She grew up in Hawaii, but now lives in San Jose, California, with her engineer husband and rambunctious poi-dog. In a previous life she was a biologist researcher, but these days she is surgically attached to her computer, writing full-time. In her spare time, she is a staff worker for her church youth group, and she leads one of the worship teams for Sunday service.Sushi for One? 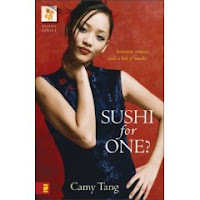 (Sushi Series, Book One is her first novel. Her second, Only Uni (Sushi Series, Book Two) comes out in February 2008! To celebrate the launch of her debut novel, she's got a huge contest going on. Camy is giving away baskets of Christian novels and an iPod Nano! Only her newsletter YahooGroup subscribers are eligible to enter, so join today. For more information about the contest, visit her website. Contest ends October 31, 2007! Lex Sakai’s family, big, nosy, and marriage-minded, is ruled by a crafty grandmother. When her cousin Mariko gets married, Lex will become the OLDEST SINGLE COUSIN in the clan, a loathed position by all single female family members. Lex has not dated for years. Grandma homes in on this fact and demands, bribes, and threatens Lex to bring a boyfriend (not just a date) to her cousin’s wedding. Lex does not want to date ... not since that terrible incident a few years back ... but, Grandma doesn't give her that choice. Lex's options are slim because she has used her Bible study class on Ephesians to compile a huge list of traits for the PERFECT man (and the more she dates, the more she adds to the list). The one man she keeps running into (and is completely attracted to) doesn’t seem to have a single quality on her list. It’s only when the always-in-control Lex loses control and lets God take over that all the pieces of this hilarious romance finally fall into place. And for those who don't watch college football, it's one of the greatest upsets ever! Just found out today, Michigan went from #5 to unranked, the greatest drop in BCS ranking history. Ouch! Kudos to Appalachian State! That little bitty college in the mountains of North Carolina. No one told them they couldn't beat a ranked team! Don't you just love a good underdog story? It's amazing what one can accomplish when there are no distractions or interuptions! I have completed several chapters of Book V this weekend, ending with a very emotional scene between Heather and her sister, Dawn. I am emotionally exhausted, but happy to know I made tremendous progress the past three days. Book V will be a reality! I've also got an ad up on TeensReadToo's website and look forward to their review of MIKE. Next weekend, the full fall tour kicks off with Borders in Apex and Cary, NC!